Training and development are concepts that can be difficult for executives and business leaders to see the importance of. Many companies just don’t see the connection between L&D, or even investing in a learning management system, and revenue. The objective of any business is to increase revenue, and what a lot of companies fail to understand is that comprehensive employee training, as well as the use of technology like a learning management system, are some of the best ways to do that. Below is a roundup of some of the top ways employee training and more specifically a learning management system drives measurable revenue. This first example doesn’t just relate to training employees—its all about training salespeople, partners, and customers. The use of a learning management system makes it easy, efficient and cost-effective to deliver training on new products and services not only to employees, but also the people who are on the front lines selling, partners using the products and services, or customers. These are all important because they’re going to improve not only the capabilities of your sales team to convey the value of your products and services, but it’s also going to improve partner and customer satisfaction. Improving partner and customer satisfaction can lead to a strong brand image, good reviews for what you have to offer, customer loyalty, and the acquisition of new customers through word-of-mouth. When you’re training your salespeople in the right way, and they have access to content through a learning management system, they’re more than likely going to sell significantly more. Think about how much revenue would go up if each member of your sales team could improve their numbers by 5%, just through knowledge and both hard and soft skills training. If a business isn’t looking at their human capital as their number one resource, and also their most expensive investment, they need to change their perspective. Human capital is the best resource a company can have. Facilitating the proper learning and development initiatives allows businesses to ensure their human capital is meeting their potential, and that they’re a worthwhile investment for the organization. Not only are employees learning valuable skills through training, but they also then see that their employee is interested in investing in them. That improves culture, morale, and productivity while reducing turnover. Satisfied employees not only mean productivity is at peak levels, but customers are going to be happier when employees are happy. That has a direct impact on revenue. This idea is touched on a bit above, but is important on its own as well—your employees need to be well-trained for them to provide the level of service they need to maintain to boost revenue. If your employees don’t know what they’re doing, how are they going to work with customers in a way that’s going to drive sales and revenue? When an employee is well-trained and trained in a variety of areas, they’re going to be better equipped to deliver amazing service to customers. Customer service is one of the most important elements of operating in the modern business environment where social media reigns supreme. It’s not just about hard skills training to boost revenue either. Yes, that’s important, but the use of a flexible, scalable learning management system also allows for essential soft skills training that’s so important to customer service and improving revenue. The leaders of any organization play a pivotal role in driving revenue and helping the organization move forward in the best way possible. Learning and development are essential in the creation of strong leaders. What learning and development allow businesses to do is create their own leadership pipeline. 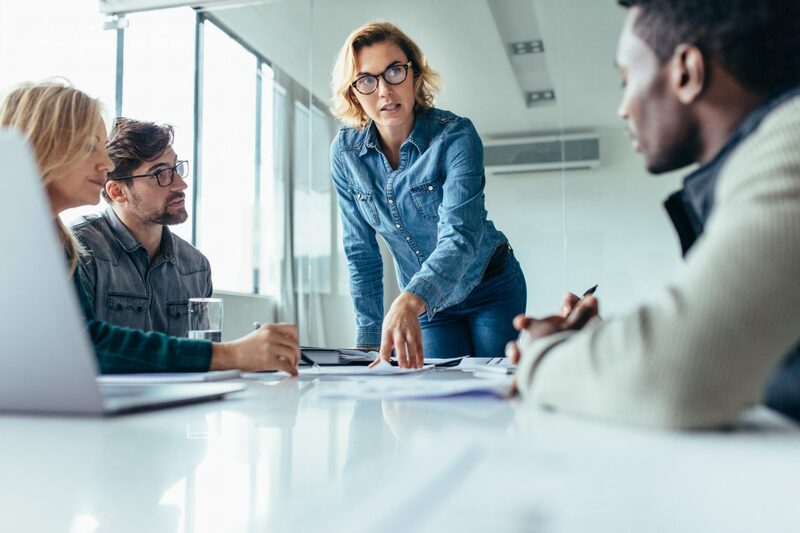 This leadership pipeline can be carefully managed internally, and businesses can make sure they identify their top talent, and they develop them along an optimal path to move them toward leadership positions. These leaders are then ultimately going to be responsible for putting in place revenue-creating initiatives. While we’re focusing on boosting revenue, there are also money-saving elements that come from the use of a learning management system. One way a learning management system helps save money is by reducing employee turnover. Recruiting and hiring costs can be huge. When employees are properly trained, and there’s a focus on developing them and building them up, these turnover costs are likely to go down. Because of how innately scalable and flexible a learning management system is, you can build your training with a focus on the areas that generate the most revenue. For example, you can focus your training on the employees who regularly interact with customers or the parts of the business where most of the innovation takes place. In a relatively inexpensive way, you can make sure your training is targeted to the areas within an organization most responsible for profitability. You can also deliver training that’s specifically about increasing revenue. Every employee can be well-versed on revenue-generating best practices within the framework of their department and their job. You can also learn more through training about what barriers might be to increasing revenue. For example, maybe your sales team doesn’t feel like they’re equipped with knowledge in one certain area. Use your learning management system to gather feedback, introduce new training, and then measure how that training affects revenue. Finally, perhaps an even more direct revenue-generating element that comes with L&D initiatives is the ability to sell your courses and content. Once you create your comprehensive employee training and you’ve developed a centralized repository of content and information within your learning management system, monetize it. Choose a learning management system that has eCommerce features, and you create a new revenue stream from the content that you already have, that’s already creating revenue for you in other areas of your organization.